For a nail blogger and polish collector, there's nothing worse than getting home with a polish and discovering *GASP* that you already own a polish in that exact same color and finish, just produced by a different brand. That is what we call a dupe. (Dupe = Duplicate) Not to be confused with backups, which are additional (intentional or not) bottles of the exact same nail polish. When I ordered my bottle of Essie Starry, Starry Night, I was trying to add more to my order and China Glaze Moonlight the Night was the only other thing that ended up in my cart. It's part of the Spring 2016 House of Colour Collection from China Glaze. It looked glittery and interesting, and it just had to have a place in the sparklestash. Between the time of ordering and receiving, I noticed that Moonlight the Night looked suspiciously familiar. As in... Daubigney's Garden from Fingerpaints familiar. 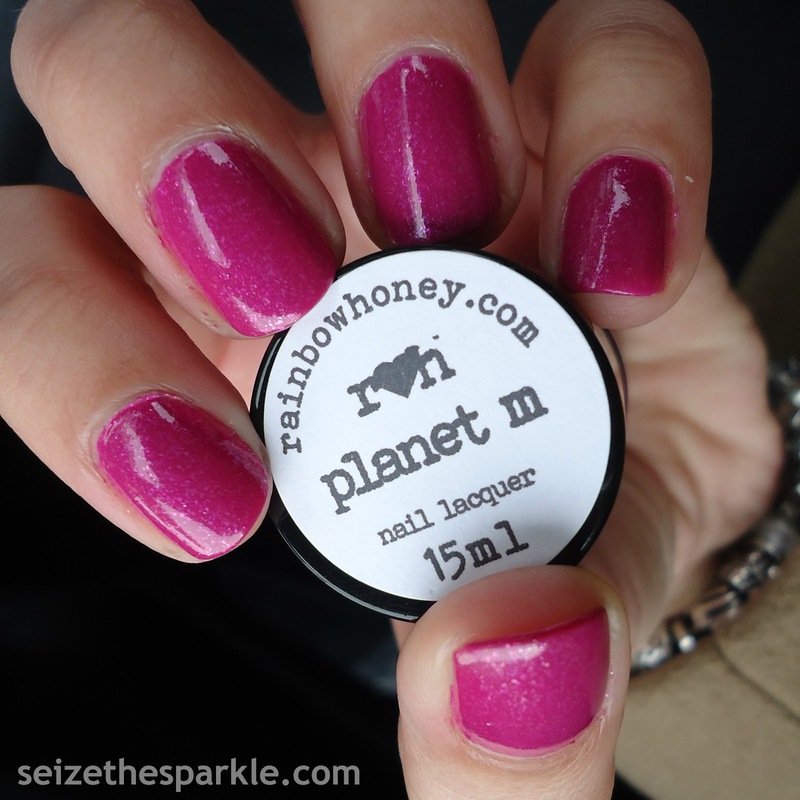 It came out last year as a new addition to Fingerpaint's core line. When I used Moonlight the Night in my SPARKLES manicure last week, I mentioned that I would try to compare the two side by side. I was ready to board the dupe train on this one, until I got the bottles outside. Immediately, I noticed that Moonlight the Night from China Glaze had much more of the coral/pink translucent glitter pieces. Curious as to how that would translate outside of the bottle, I got out a swatch wheel. What you see in both bottles, you also see on the nail wheel. I built up to four coats of each polish, with China Glaze Moonlight the Night on the left, and Fingerpaints Daubigney's Garden on the right. 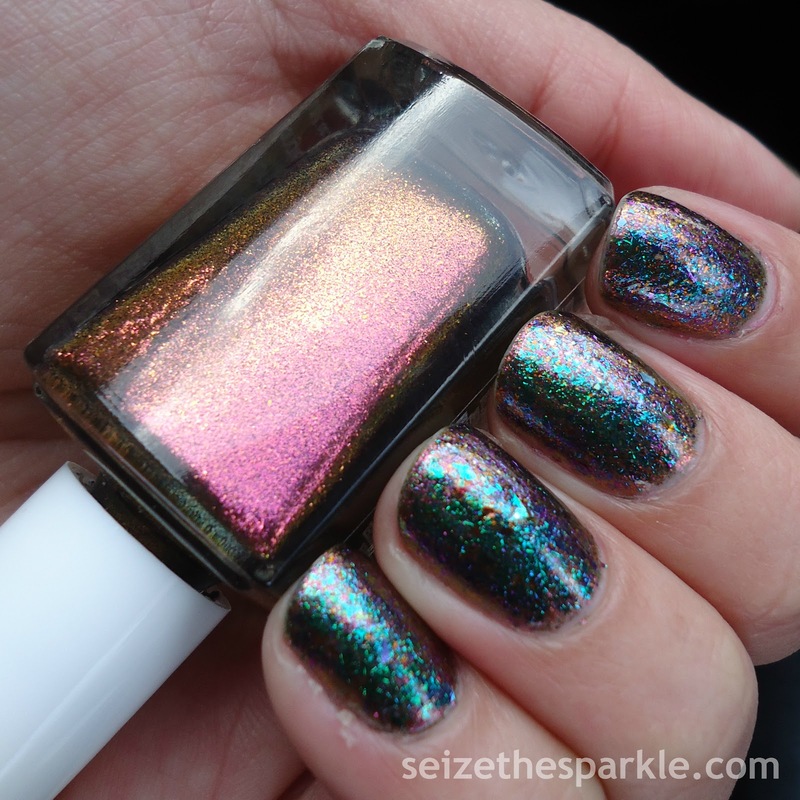 Both polishes feature translucent and opalescent glitter. There's a good deal of translucent pink and purple and opalescent teal in each one. Moonlight the Night definitely has more of the coral/pink color of glitter, and it's more noticeable as you build up coats. The glitter in Daubigney's Garden has more of a green-yellow flash to it, keeping it mainly in the cool spectrum. The base colors are different, too. Daubigney's Garden base has a bluish-teal lean to it, while Moonlight the Night is more of a bluish-purple. I can't really rule that these two are dupes, but they are similar. 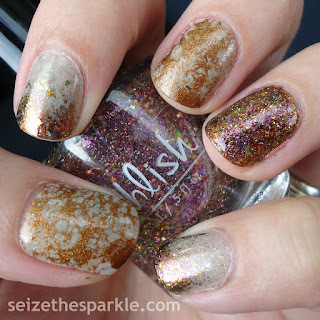 Do you need both polishes in your stash? Well, it depends on what kind of nail art you're into, and what color pairings you like. If you're more of a cool-minded blue/teal kind of person, Daubigney's Garden is probably what you want. But if you want that little flash of unexpected coral and pink for a mermaid manicure, I'd definitely go with Moonlight the Night from China Glaze. As far as availability, both are relatively easy to find at the moment. Daubigney's Garden is part of Fingerpaint's core line of polish, and can be purchased through Sally Beauty Supply. 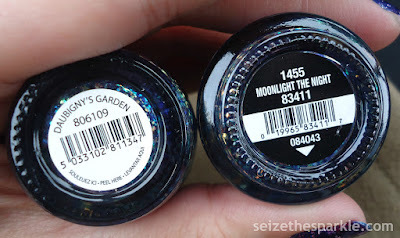 Moonlight the Night is part of the newest China Glaze LE collection, so you should be able to find it at most Sally Beauty Supply stores or other online retailers. This time around, I purchased from Ulta, but I typically buy China Glaze polishes from HB Beauty Bar. They do a great job of stocking current and past collections in case you missed out on any recent LE shades. Hopefully this will help you make a decision between the two of these shades! Do you have either of these in your collection? Both? Which one is your favorite? Let me know in the comments!!! 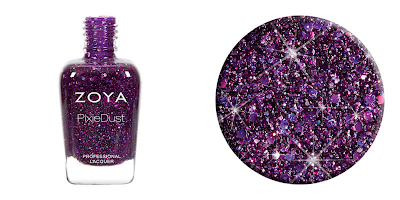 It's Zoya promotion time again! This is one sale that I just have to jump on every year. 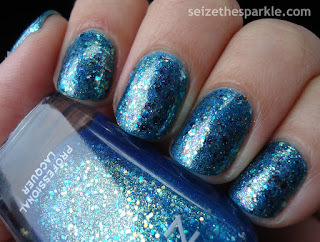 Usually, it's because I try to do a no-buy around the Holidays and I'm just itching to buy all of the polish. I didn't really set out specifically to do that in 2015, but that's how it ended up. 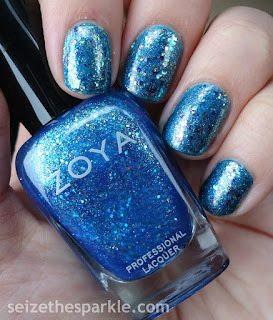 So I was pretty excited to get the email about Zoya's one week only Free4You sale! 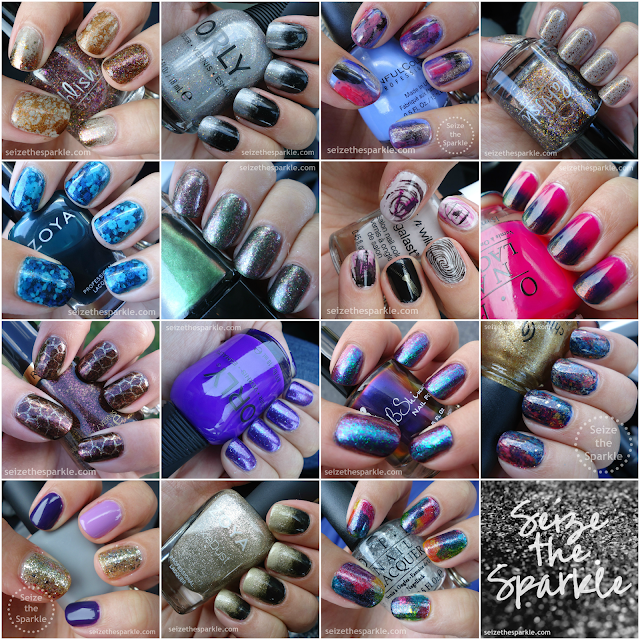 The premise of the sale is simple, choose 4 Zoya shades, (excluding pre-packaged sets, Naked Manicure, Zoya Treatments, and the Spring 2016 Whispers Collection) enter 4YOU at checkout, and pay just $15 promotional shipping. That's the equivalent of $3.75/bottle with free shipping. 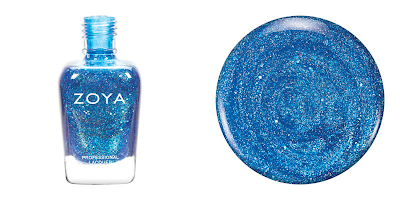 Zoya polishes normally retail for $9-$10/bottle, so this is a pretty sweet promotion! 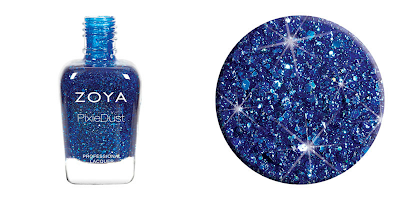 Zoya Muse: described by PR as a "blue raspberry holographic fizz with a subtle vein of gold." I'm thinking it's the ocean blue mermaidish sister to Binx. Hoping. 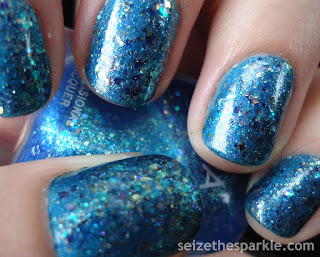 I've seen it featured in a lot of mermaid/undersea manicures. Definite seriotype material. 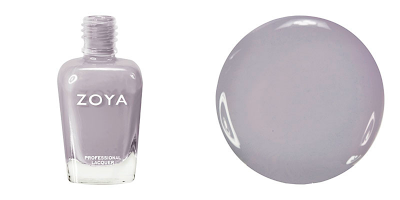 Zoya Carey: they call it "periwinkle grey." I was in a gray sort of mood, and my stash already has Tove and a Dove dupe. So I'm trying this shade of grey. 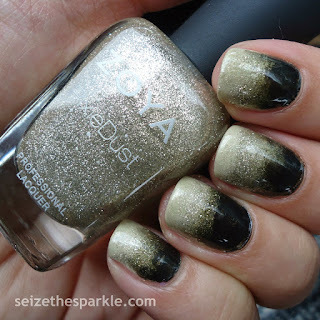 Zoya Nori: I must not have been in a dark polish kind of place when I ordered last year. Which just goes to show the difference in taste from year to year. I ordered Tomoko last year, and ended up using it waaaaay more than I ever thought I would! I needed more Pixie Dust in my life, and "Sapphire blue Magical Pixie Dust with holographic hex glitter" seemed like a good way accomplish that. 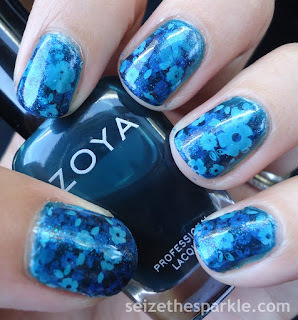 Over the years, Zoya has started doing more of these awesome promotions, so it's not always just this one. But this one is a really good one! And if you're planning on ordering but haven't yet... the sale ends January 13th 11:59 EST so don't wait!!! Did you order any polishes during the Free4You promotion? Let me know in the comments! Also, if you've got any of the shades I ordered, I'd love to hear how you like them! It feels so good to be doing one of these posts after two weeks off! I had such a great Holiday with my family, I hope you did too! I don't know about you, but I miss the coziness of the season. There's just something magical about it! But alas, January came just the same and brought a cold front with it. While I was off, Peanut also had some time away from daycare, and that meant a whoooooole lot of watching My Little Pony. While playing My Little Pony. So, when I drew the 5 COLORS prompt... is it any wonder that Princess Celestia and her rainbow-colored mane popped in to my brain? Peanut's big gift for Christmas this year was Canterlot Castle, home of Princess Celestia. I had been looking for a themed playset for Sparklegirl for a while, and when I saw this one, I knew it was the one! The Princess Celestia pony came with the set, along with Spike. If I'm not mistaken, I think this is the only way to get her royal highness, and she was the pony little Peanut couldn't stop talking about. Seemed like a win-win at the time, which has turned into a win-win-win because she looooooves playing ponies! Kids can be so fickle with toys, so I'm stoked that she likes it so much! When I drew the 5 COLORS prompt this week, I was definitely missing those days at home with Sparklegirl, playing ponies. Originally, I was thinking seriotype, but that all changed after an extra-long bedtime last night. I was a little overtired by the time I sat down to paint, so instead of a seriotype, I chose simple skittles in the Princess Celestia color theme. This weekend, I'm sure we'll be playing a lot more ponies at Chez Sparkle, and hosting some tea parties on the MLP app. All while watching My Little Pony. I think we're a few episodes in to Season 4? Is it wrong to admit that I'm loving watching it with her? I'm amazed at how much kids shows have changed from when I was little. And maybe a little jealous. But it is fun sharing something with her that I loved playing with when I was a kid. What are your plans? Is your kiddo into MLP? Let me know in the comments! See what I mean? I want to apologize for my lack of a creative name here... Flaky Fleece? Gumdrop Navidad? Fleece Rooftop? Yeeeeeeaaaaaaahhhhh, no. 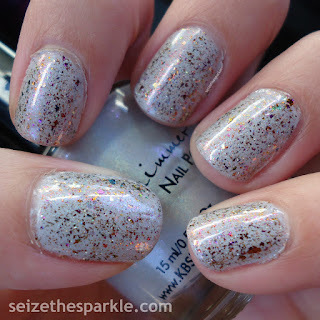 When I first put Fleece Navidad by KBShimmer onto my Christmas wishlist, I knew it was a gorgeous soft silver gray holo polish. But I had no idea that it also has a subtle shimmer that flashes blue to purple. I'm so glad that this bottle was included with my Secret Santa goodies! Holographic glitter, subtle flashing shimmer... some people might stop there, but not me! No, I needed to add a little more shifting glittery fun to the mix. That's where Gumdrop Rooftop comes in. Square iridescent glitter, small iridescent flakes, and a flash that goes from gold to orange to red to fuchsia. So much shifting and sparkling going on! Where did 2015 go? It's so hard to believe that we're already saying bonjour to 2016! I don't know about you, but my feeds have been littered with all sorts of "top... favorite... and best of..." posts. Can I just confess for a minute that I can. not. get. enough! I already posted about the Best Polishes of 2015. If you follow me on Instagram, you got to see my #bestnine. That one is actually cool because it consists of the nine photos you guys liked the best! I'm not sure if comments are counted in there or not? Either way, as soon as that collage was compiled, the wheels in my head started to turn. You know, looking at this collage gives me a real sense of accomplishment! My techniques have definitely improved over the past year. And I think I'm slowly becoming more adventurous with my nails. I mean, I probably would've laughed at water spotting a year ago, but I tried it for one of my Manicures of Christmas and loved the way it turned out! 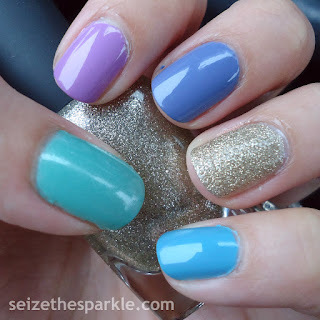 In the past year, quite a few things have grown on me, like gradients, stamping, and accent manis to name a few. The saran wrap technique and Seriotypes were probably my two favorite discoveries of 2015. When it comes to my absolute favorites... layering manicures of any kind will always win. They're the jam to my jelly glitter sandwich. Another technique that will always hold a place in my heart. So, here they are, in order of their appearance on the collage, with links so you can get all the details! 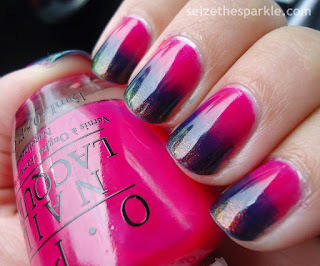 This was a fun gradient that I really enjoyed wearing. 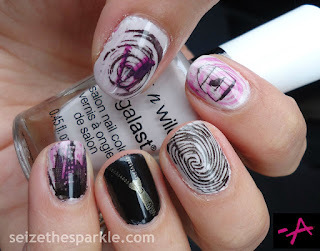 I love the distressed look where the black and silver polishes meet. My first ever Seriotype manicure. I think my favorite thing about Seriotypes are the fact that each nail looks a little bit different. I'm still not crazy about that pinky, though! 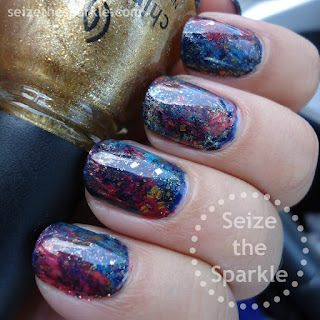 Between Autumn People and Gumdrop Rooftop, I've fallen hard for multichrome and ultrachrome flaky glitter toppers. Depending on your base color, the look of these gorgeous little flakes can change completely! My first pond manicure. Definitely not my last, but whoa! This technique takes a while!!! But the end result is gorgeous, so it's worth all those layers! 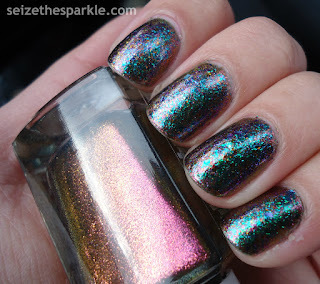 This is one of those manicures that was incredible to wear, but almost impossible to photograph! Which was such a shame, because it was gorgeous in person. This was the manicure on my nails when Welcome to the Dollhouse aired. It was a great episode, but it definitely didn't answer too many questions. By the time the Season 6A Finale came around during the Summer, my brain was a little too exhausted for a PLL mani! This is another one of those distressed/bleeding gradients. 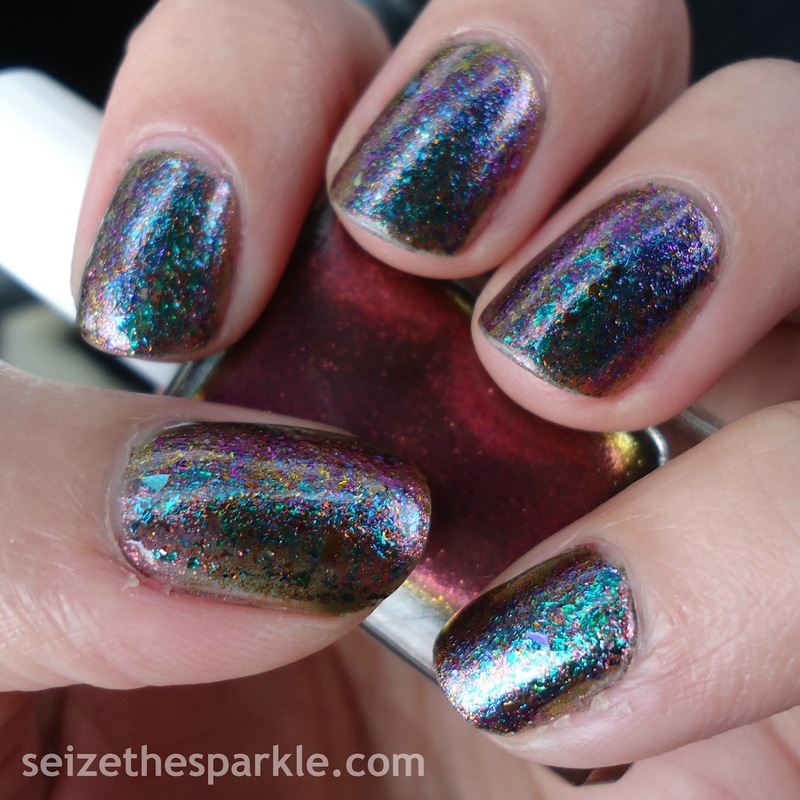 Fantasy Fire really added a fun touch of shimmer to the tips, turning this seemingly 2 color gradient into a sneaky 3 color gradient. 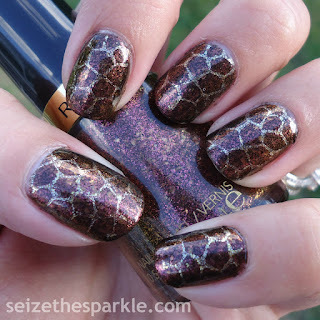 Tortoise shell nails in tortoise shell colors? Check! 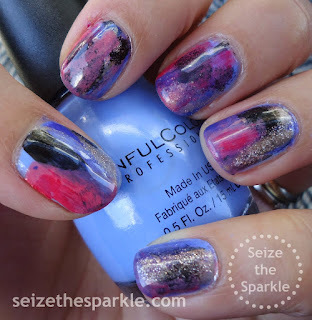 This was a really fun manicure from #31DC2015 that I was really sad to remove after wearing for only one day. But, that's the way of the challenge! 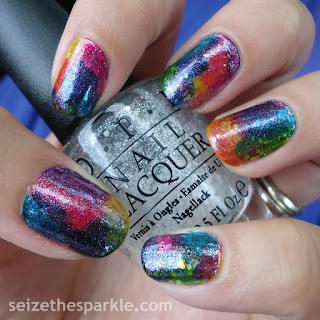 This was a fun mani that combined a whole lot of glitter and shimmer! Not a Seriotype, but a layering manicure that changed and transformed with each new coat of glitter. I ordered these two polishes just before #31DC2015 kicked off. As soon as they arrived, I knew I needed to wear them together and see how everything shifted. I couldn't stop moving my nails around and checking out all the flashes from different angles. Ah-mazing! I've been itching to redo this manicure lately. There's definitely a galaxy vibe, but it also reminds me of the colors on an old desktop globe. And maybe a bowling ball. But mostly the globe! I think the contrast between all the different colors is my favorite thing about this Seriotype. This was a look I recreated from a manicure I pinned on Pinterest. There's something so clean and simple about accent manis that gets me every time. 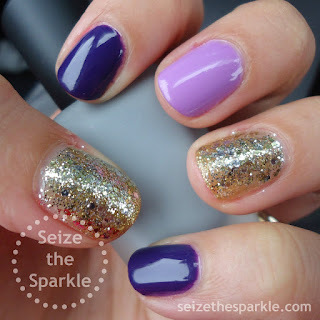 And you really can't go wrong with purple and gold nails! Yeah, it's not you. There's nothing particularly "rainy" about this manicure. It was more of a loose translation kind of Fishbowl Friday. We have those every now and then! If I had to pick a favorite collection of the year, I'd probably have to pick the OPI Colorpaints. So many awesome manicures were possible because of these polishes. This was a no-brainer for my favorites! Jelly polishes will always have a really big place in my polish loving heart! It's been a lot of fun looking back through 2015 and picking out my favorites! And of course, while I've been doing that, I've also been thinking a lot about my goals for 2016! So, be on the lookout for a post featuring my 2016 resolutions coming soon! Oh, and I apologize for being so radio silent here on the blog since Christmas. Peanut and I both had a lot of time off, so we really had a lot of time to play and got to enjoy the Holidays with family! I was totally planning on posting a Fishbowl Friday last week, and the time just got away from me. But fear not... Fishbowl Friday 059 is definitely happening this Friday!